Have had a plain one over 50 years and never new anything about it till now. Maker still unknown at this stage. Perhaps one of our Tassie members are able to offer a bit more info. Found a side photo of the lure as well. Should help to I D.
That card very much suggests to me the Tru Life series of lures from W Carter & Son, Grange Rd, Glenhuntly (Melbourne). Carter was a senior employee at Hartleys who left to set up his own cane rod making business in the 40s?. I have a few of the Tru Life lures. Also have a Magic Minno in a little box but have never been able to work out anything until I found this post a few minutes ago. 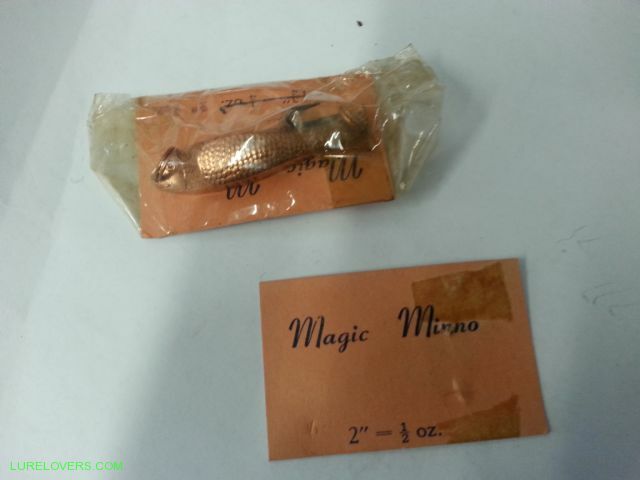 You can see the Magic Minno in a few tackle catalogues from the 50s with no indication of the maker. 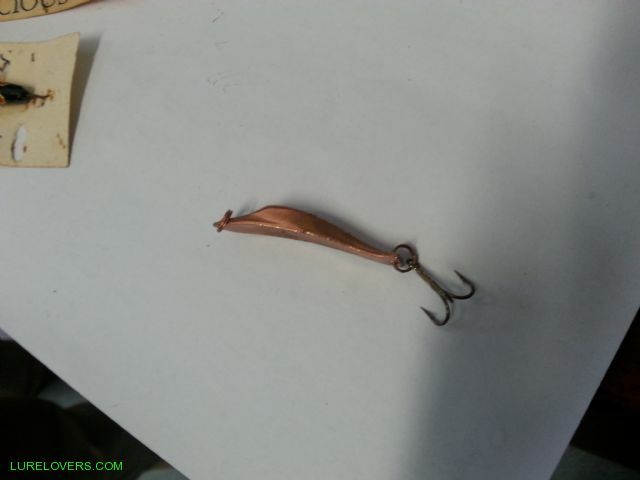 I have the same lure which belonged to my uncle who passed forty odd years ago, it's very similar to the old Johnson Super lure.